What do the some of the most successful people in the world say about achieving and defining success? Few people have had the exposure and have asked the questions that most people are asking, "what is success and how do I get there?" like James Marshall Reilly. James shared the incredible advice he received from Zappos founder Tony Hsieh and Doug Ullman (founder of Livestrong) and many others. 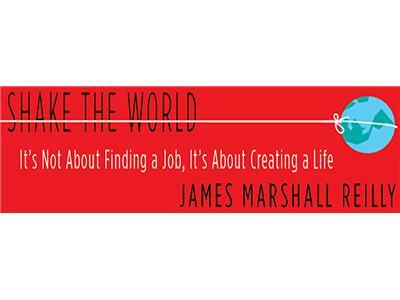 James Marshall Reilly is an entrepreneur, strategic consultant and author who set out on a mission to find out exactly how the most lauded of this generation—top business leaders, ideators, humanitarians and social entrepreneurs—have defined and achieved success. And what he discovered is that we have landed in a new place not only in terms of generational expectations and new technology, but in terms of education, perceived limitations, and the job market as well. 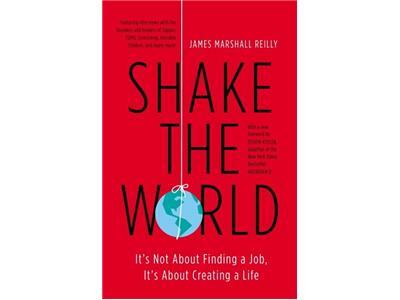 His book, Shake the World: It’s Not About Finding a Job, It’s About Creating a Life, features in-depth interviews with Tony Hsieh (Zappos), Doug Ulman (CEO and President of LIVESTRONG), Elizabeth Gore (Executive Director of Global Partnerships at the United Nations Foundation), and Blake Mycoskie (Founder of TOMS), along with many of the other top entrepreneurs, business leaders, philanthropists, social entrepreneurs, and humanitarians on the planet. What he learned was that despite their different fields of interest, they’re all using similar tools to seize opportunities and redefine success. But perhaps more importantly, he concluded that the rest of us can model the behaviors of these highly successful individuals as a means to achieve and sustain success of our own, however we may individually define the term.